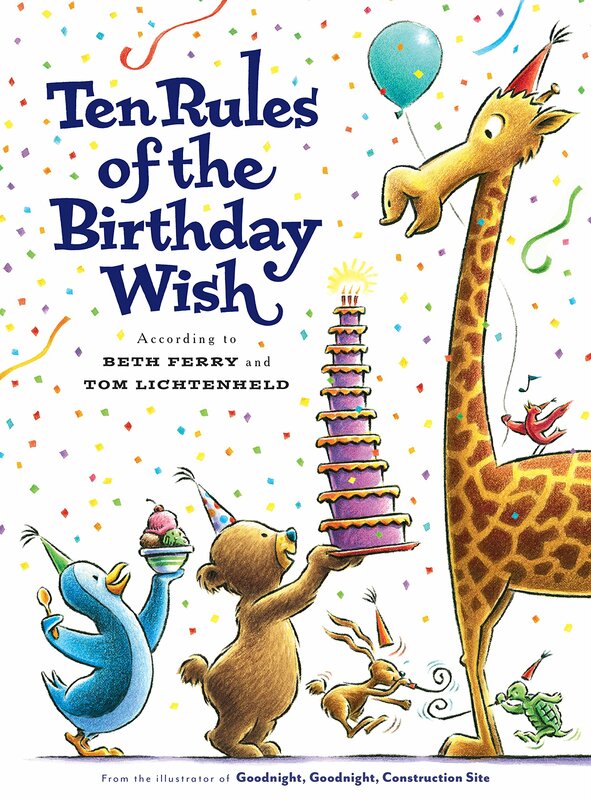 Summary: Turns out, there are ten rules for making a wish on your birthday. First of all, it has to be your birthday. Or at least close to your birthday. (Unless you’re an animal with a lifespan of a month or less, and then you should celebrate immediately). There should be a party, food, lights, and a song. (Exceptions are made on all these rules for certain kinds of animals). You should take a deep breath, make a wish, and blow out the candles. But keep your wish a secret…you can dream about it that night after the party is over and you’re in your bed. 48 pages; ages 4-8. Pros: From the team that brought you Stick and Stone comes this fun and funny book that celebrates the joy of being the birthday boy or girl. This would be good to pair with last year’s When’s My Birthday? Cons: I missed rule #11: eat a large slice of birthday cake.